I've played many an MMORPG, and something that always bothered me was when they featured alignments -- specifically in that it was nothing but a line of text in a character's description. In Dungeons & Dragons Online or Neverwinter you can say you're Chaotic Neutral, then run around being the most Lawful Good person ever and the game will still call you Chaotic Neutral. Well no more, I say! 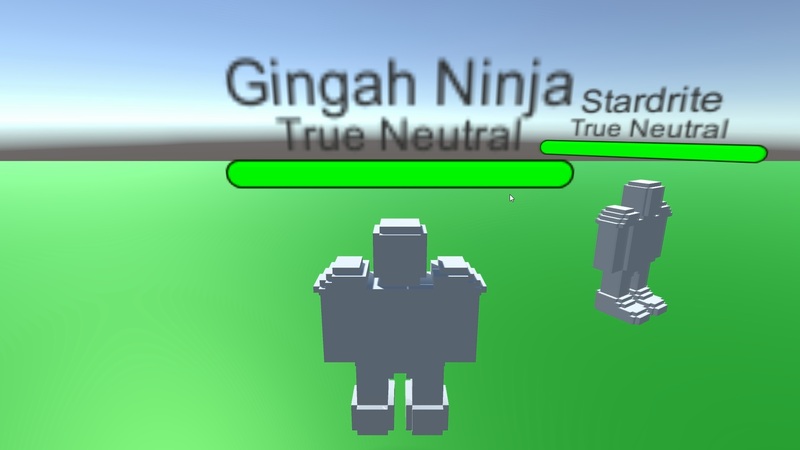 This tech demo serves as a proof of concept of a network multiplayer game in which an alignment system is implemented, not by limiting decisions based on a claimed alignment, but by updating your alignment based on your actions! Attacking good or neutral players moves your alignment toward evil, and attacking evil players moves your alignment toward good. 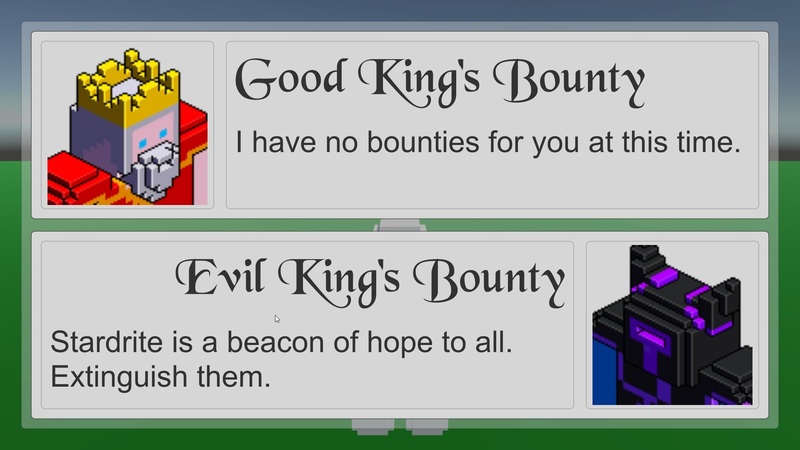 There's also a bounty system, where the most good and most evil players on a server will have a bounty placed on them by either the Good or Evil King. Attacking a bountied player moves your alignment toward lawful, and attacking players who aren't bountied moves your alignment toward chaotic. 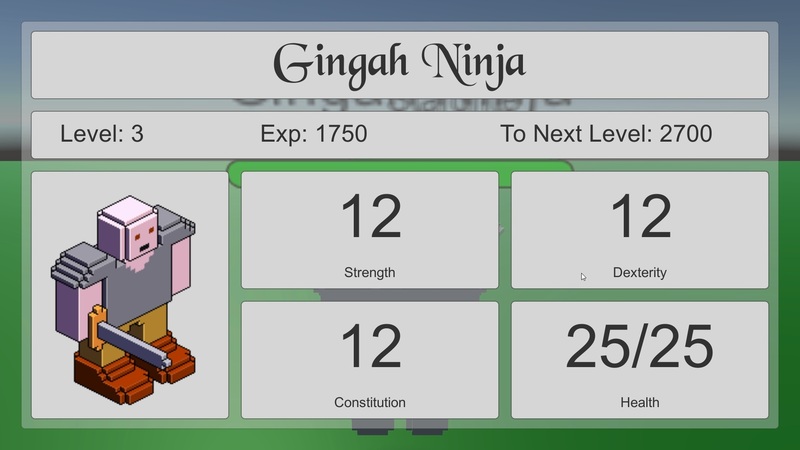 Persistent characters - The server will save your characters regularly, ensuring you never lose your progress! As long as you use the same username and connect to a server hosted on the same computer, you'll be playing as the same character. 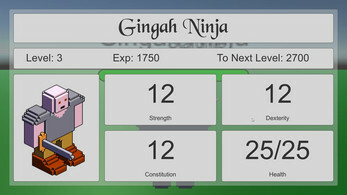 Character and Journal screens - The character screen was implemented mostly to test leveling and character persistence, but it's a handy feature. 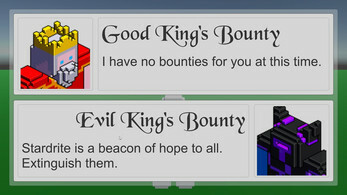 The journal allows you to see which players currently have a bounty on their head - useful if you want to be the lawful sort. Since posting this, I realized setting up the tech demo can be a little weird for people who didn't make the game, so I made this nifty little guide! Hope you enjoy! 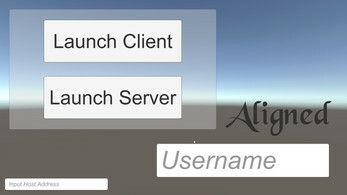 Connect to the server - If you're playing on the same computer as the server, launch a second instance of the game, and either leave the Input Host Address blank or write "localhost" (without the quotes). If you're on a different computer, make sure you're connected to the same network as the server (at the moment the game has only been tested on LAN) and type the server's IP Address into the Input Host Address Box. Then just type in a username and press the "Launch Client" button! Enjoy! 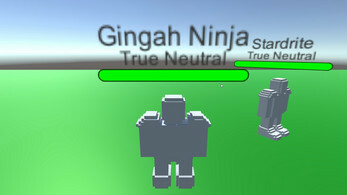 Default controls include WASD or arrow keys to move, mouse to rotate character, left click or left ctrl to attack, J to open your journal and C to open your character menu. On Windows, you'll get a pop-up when you launch the server informing you that Windows Firewall has blocked some features, and you have to tell it to allow them. On Mac, you'll get a similar pop-up the first time somebody tries to connect to the server from a separate device. This game has been tested on Windows 10 and macOS High Sierra, and functions as intended on both individually as well as for cross platform play. If you played it on a different OS, please let me know how it went! Pretty good concept, but the tech demo is unplayable at this time. Oh? What issue are you having? Also, can you tell me what OS you're running the game on?